(Jeff Roberson | The Associated Press) President Donald Trump listens as Chair of the Republican National Committee, Ronna McDaniel, right, speaks during a campaign rally Monday, Nov. 5, 2018, in Cape Girardeau, Mo. 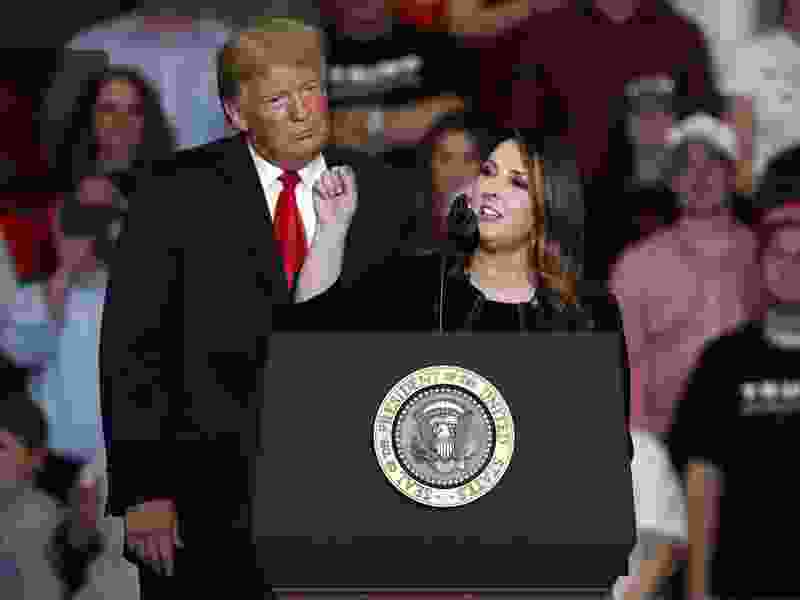 RNC Chairwoman Ronna McDaniel said, “I love my uncle Mitt Romney, but Republicans should go after Democrats and not Trump.” She went on to state that the party needed to stand behind President Trump. Should we support our party even when the facts prove our leader is unstable, dishonest and immoral? It seems we are becoming so polarized that we are more concerned about party than any amount of dishonest and immoral behavior. The divide between the two parties has grown frighteningly hostile. Good people are willing to support bad people in order for their party to win — on both sides. Good people turn a blind eye to bad behavior in the name of the party. It causes churchgoing people to make comments that justify the leader from their party — for example, “the economy is doing well.” Is the economy of greater worth than our soul? We can avoid the facts by finding a news source that confirms the bias of our chosen party. It seems we are we all afraid of the “other party” without knowing what the other party is really about. Do we avoid the fact-checking sites because we don’t want to know the truth about leaders in our party? Does political apathy grow in a two-party system? You don’t have to invest time in research if you trust your party. You just vote a straight party ticket because you want your party to win. I find myself becoming cynical, which is frightening to a Polyanna like me. I want to hear from other people. Please lift my spirits, rekindle my hope and help me see ways to contribute in a more positive way.